So why do I love a certain Shady Dame's neighborhood in Forest Hills? 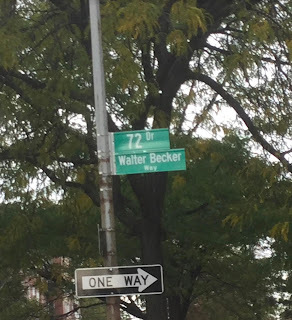 Well, among many other reasons, because yesterday we walked a few blocks from her apartment and got to participate in a ceremony renaming a street in honor of the late great Walter Becker, of Steely Dan fame. 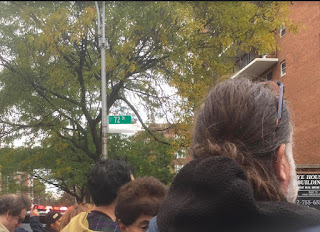 He grew up on that block, BTW. I was totally unaware of that until a few weeks ago. I should also add that, as estimable as Becker's Steely Dan work is, I think his finest accomplishment is his first solo album, 11 Tracks of Whack, from 1994. And this song from it in particular. ""You take their money just like you take mine." Ah, what a sentimental old fluff Becker was. Genius songs on that record. "Girlfriend" "Down in the Bottom" "Surf and/or Die" - I learned "Junkie Girl" and performed it once, mostly just to say I did. Wait, what? 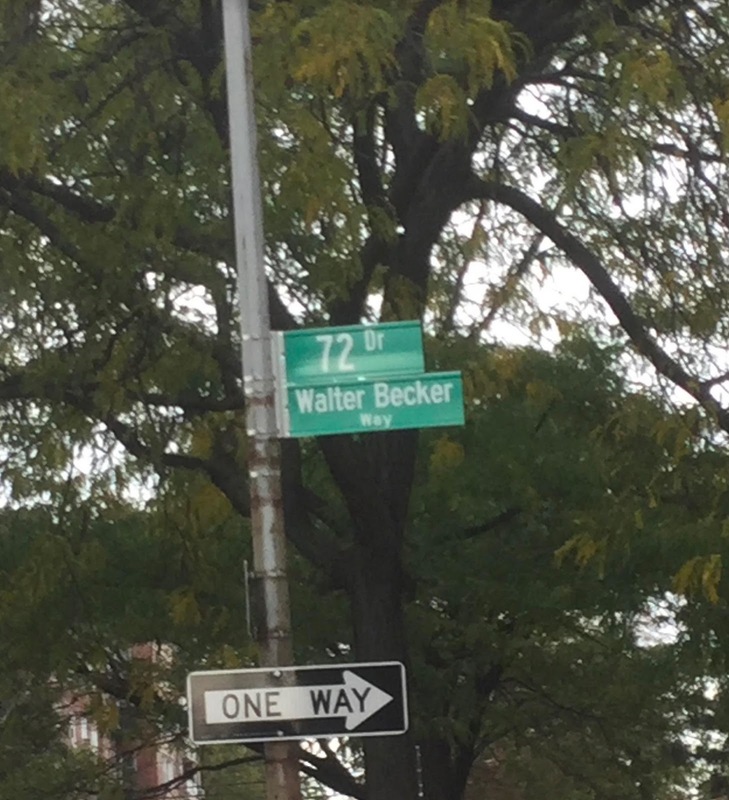 Walter Becker grew up in Queens? Huh. How did I not know this? Heads are gonna roll on my staff. The Kids Are Alright. Okay, Maybe Not. I Knew I Liked These Guys!